TSA PreCheck is about to get a lot easier to access. The program, which allows pre-approved passengers to go through dedicated express lines at airport security, will no longer require hoofing it to an airport or other inconvenient sign-up center to file an application. Instead, you can head to your nearest Staples store, which will soon be offering PreCheck services, according to the frequent flyer blog View From the Wing. 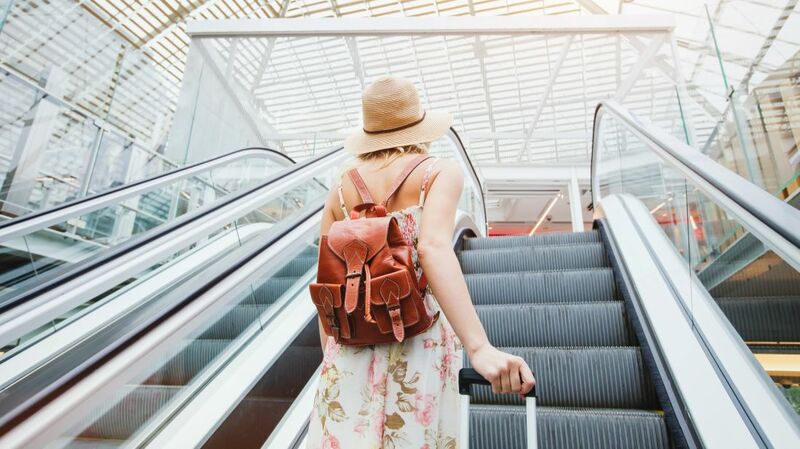 Through PreCheck and Global Entry (its sister program for international flyers), travelers who go through a background check can speed through security lines at the airport without removing their shoes, belts, jackets, liquids, or laptops. After you pay the $85 application fee and get approved, you’re covered for five years. TSA says that most of its PreCheck passengers spend less than five minutes per airport trip waiting in security lines, so it essentially pays for itself as long as you run late for a flight at least once a year (or just really hate waiting in line). Though the PreCheck program has expanded its locations in the past few years, offering application services in some H&R Block storefronts, DMVs, and other easily accessible public places, it’s still harder than it should be to enroll. From my hometown in California, for instance, the nearest enrollment center is almost 50 miles away. Even in big cities like New York, high demand and few enrollment centers mean you could be stuck waiting weeks for an appointment, depending on the location and time of year. This summer, Staples will become one of the few national businesses to host PreCheck enrollment centers. The Staples PreCheck application program will be administered by the security agent IdentoGO, which already provides PreCheck application services at places like H&R Block, and will begin in Boston, New York, Chicago, Dallas, Seattle, and Los Angeles. The first wave of the program will encompass 50 new centers, but eventually, the company hopes to expand it even further. The lack of accessibility might be one reason the program initially fell short of its enrollment goals, signing up just 2.7 million members in its first three years. Now it has 6 million people on board, but that’s still a far cry from the 25 million the agency hopes to get enrolled in its trusted traveler programs by 2019. It looks like you’ll only be able to apply for the domestic PreCheck program at Staples, not the Global Entry program. The latter, while a bit more expensive, comes with domestic PreCheck benefits as well as express service at U.S. customs.